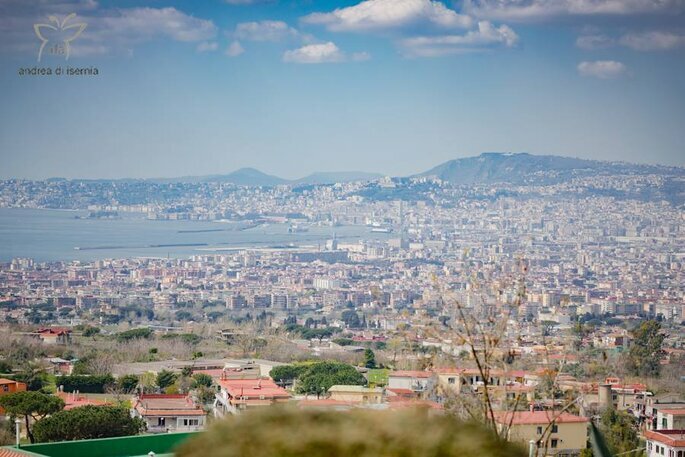 Close to the infamous Mount Versuvius in Southern Italy is the beautiful city of Naples, caressed by the Mediterranean Sea. 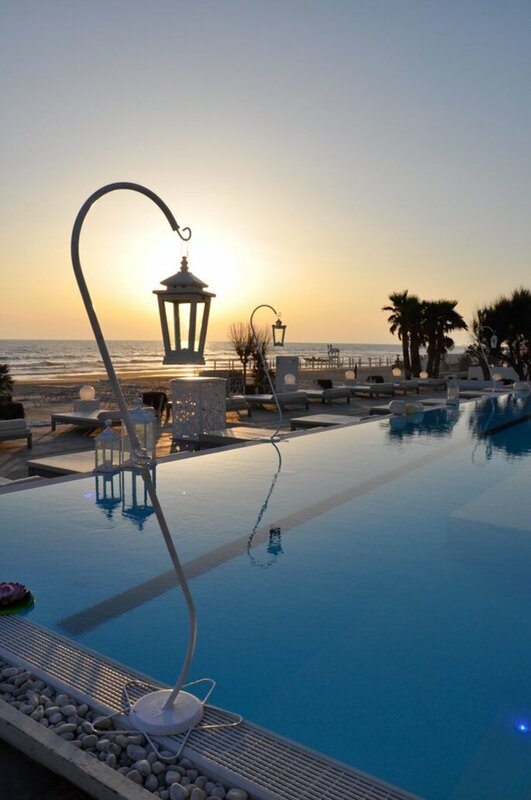 It really is a magical place for a destination wedding in Italy, combining the glamour and culture of a city atmosphere with the relaxing nature of the country’s southern coastline. 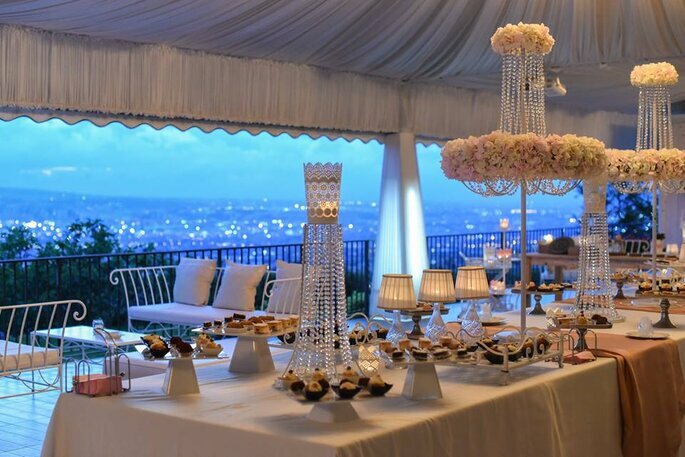 If you’re considering Naples for your own dreamy wedding in Italy, or simply need some inspiration, then we have the perfect venue recommendation for you. 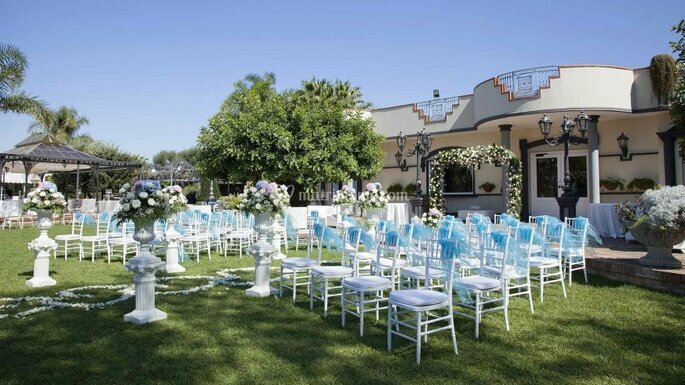 Villa Andrea di Isernia combines all the wonders of the city with luxury facilities and wedding services. 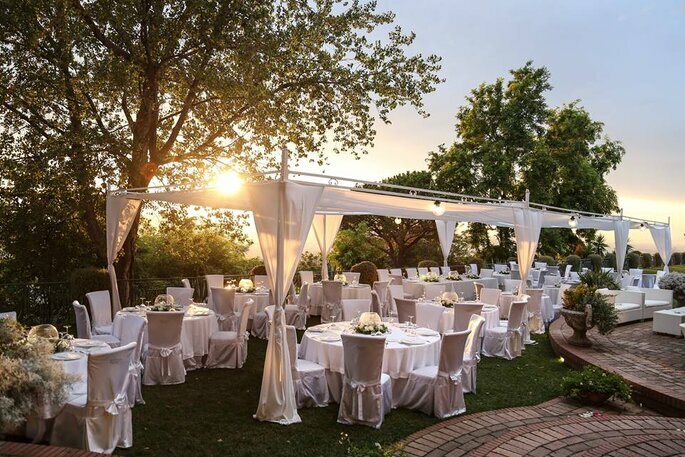 You can learn all about the venue in this article, with 5 reasons why you should choose Villa Andrea di Isernia. Villa Andrea di Isernia has a luxury swimming pool terrace with panoramic views that’s perfect for welcome aperitifs and photos. 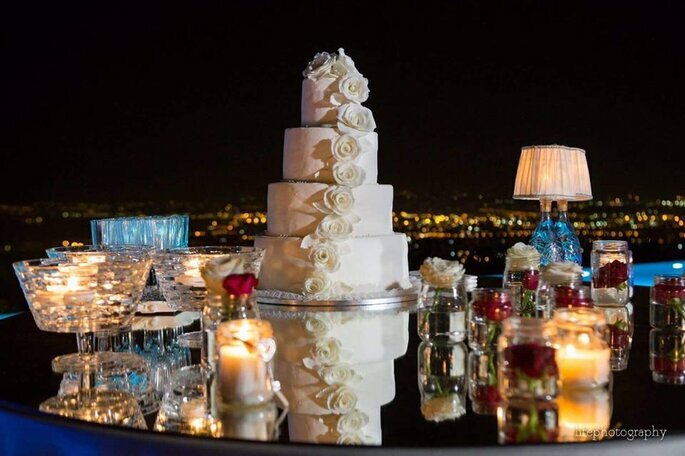 Whether you are saying your vows on a sunny afternoon, at sunset or under the stars, the views over the Gulf of Naples are equally as unforgettable. Glistening lights and waters as the backdrop for your wedding means that you can spend less time and money on wedding decor too. It goes without saying that views like this are synonymous with romance, which makes the venue perfect if you are looking to create and elegant, sophisticated and romantic wedding style. Once you’re in a beautiful spot like this, the romance will continue on your honeymoon, with special suites available in the venue’s luxury resort, the Andris Hotel. 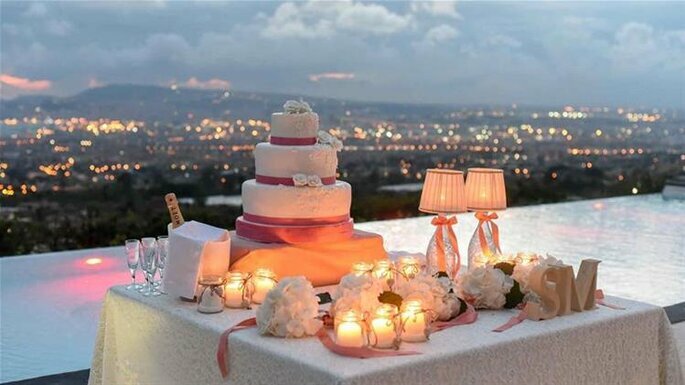 The venue itself has a privileged location overlooking the city, which is what grants such amazing views. The venue also has many spaces for your vows or celebrations, from the panoramic terrace already mentioned, to lovely gardens where you can say your vows under a traditional flower arch, or have an outdoor reception under flowing palm trees. The villa also has an incredibly elegant dining room. Then, of course, you and your guests will have Naples to explore. Take a walk along the coast to the foot of the still active Mount Versuvius, or pay a visit to the historic Pompeii ruins. The city’s streets are bursting with inspiring art, culture and gastronomy, which will combine to turn your wedding weekend into an amazing travel experience. 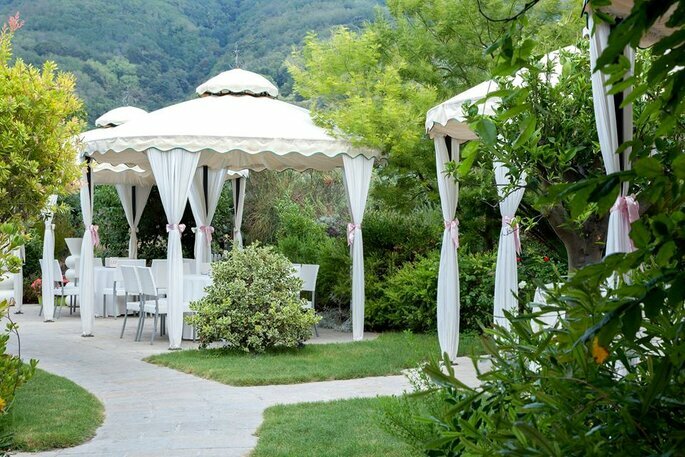 You can entrust everything at more in the wedding planning team at Villa Andrea di Isernia. These professionals are very used to couples just like you – those who seek a destination wedding package in a beautiful location. Thanks to the accommodation and catering complex associated with the villa, they can handle your entire event, offering maximum comfort to you and your guests. 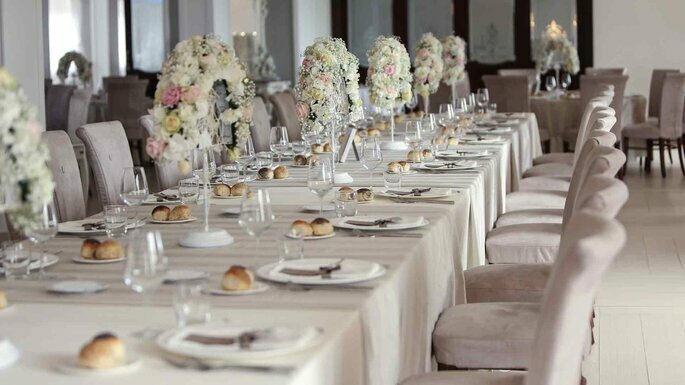 The Italians are known for their flawless hospitality, and the team at this venue won’t stop until your wedding runs smoothly, so request a free consultation when it suits you to get planning! Naples offers the most authentic of Italian cuisine to its visitors, and Villa Andrea di Isernia has an award-winning team of fantastic chefs. The guests are at the centre of everything that these caterers do, so all dietary requirements are considered and menus can be tastefully personalised with an exciting array of speciality dishes. 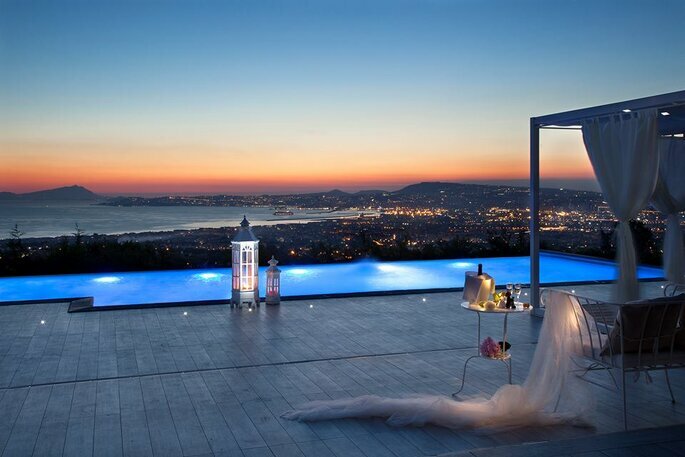 If the magical views alone aren’t enough to persuade you to tie the knot in Villa Andrea di Isernia, then the other four reasons should be! 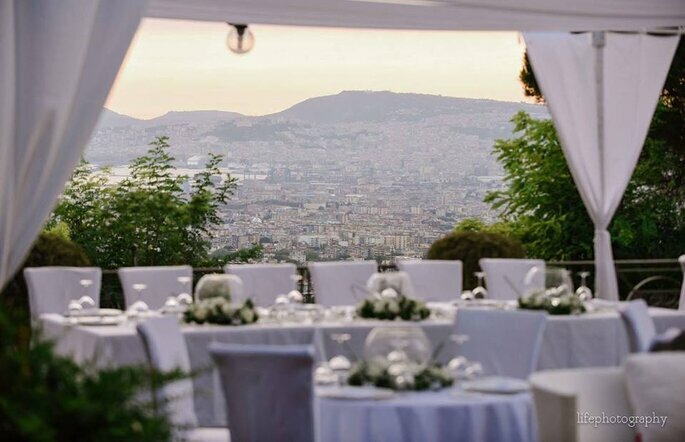 This venue provides everything a destination wedding couple could want and more, combining the exquisite gastronomy and elegance of an Italian city like Naples, with a luxury wedding planning service.